Current hottest girl group, TWICE to visit Singapore for the first time! TWICE has kicked off their first world tour in Seoul on Feb 17th–19th, and will make their first highly anticipated appearance in Singapore on April 29th at The Star Theatre, The Star Performing Arts Centre. TWICE, which consists of Nayeon, Jeongyeon, Momo, Sana, Jihyo, Mina, Dahyun, Chaeyoung, and Tzuyu, made their debut in October 2015 with Like OOH-AHH, and immediately hit the KPOP scene by sweeping almost all of the rookie awards in Korea. Not only that, TWICE will be splitting themselves into 3 units that will showcase each member’s unique charm and characteristics. 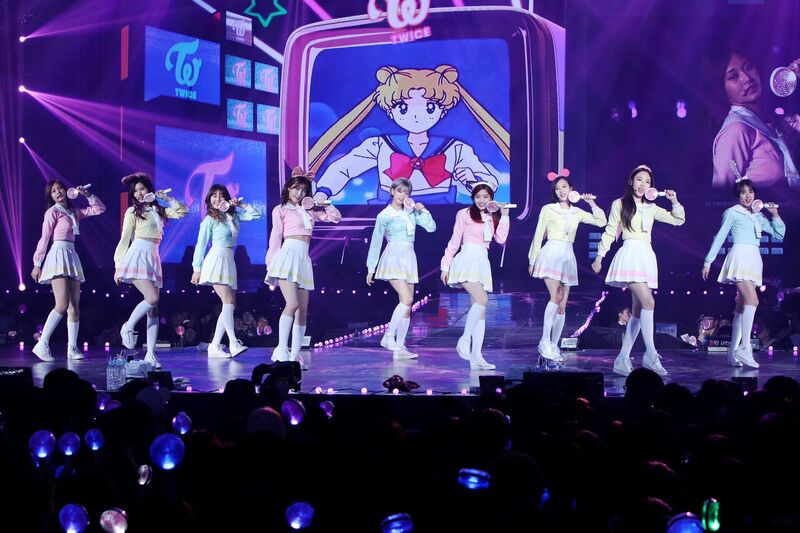 As one of the most popular girl group in Korea, fans have been looking forward to their first concert “TWICELAND”. The Singapore stop, which will be held on April 29, has sold all VIP tickets within minutes upon launch. Due to overwhelming response from ONCE, the organizer will be adding more seats to TWICELAND in Singapore. The Opening in Singapore are priced at $208 and $168, and have go on sale via APACTIX official ticketing channels since February 24th, 10am. For more information, please visit One Production Facebook page.